The island of Barbados is an ideal location for a Caribbean wedding and honeymoon. If you are interested in a wedding ceremony in Barbados, then you will want to review all of the information on the Caribbean weddings pages as they provide current and accurate information to help make planning your wedding easy. Our Caribbean weddings specialists are here to assist you every step of the way. It is the easternmost of the Lesser Antilles islands and, as such, enjoys the graces of two oceans, the Caribbean Sea on its west side and the Atlantic Ocean at its eastern side. 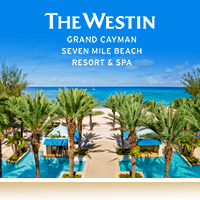 A large selection of beautiful oceanfront hotels and resorts located in some of the most romantic spots in Barbados. Enjoyable nightlife in Barbados at clubs, restaurants and lounges. A popular area that offers everything from street vendors, to high end restaurants is St. Lawrence Gap.